Written by Scott Dickinson on 15 August 2009 . Already 15 charities have joined up with Joe’s paddle and they range from the Precious Lives Appeal, Surfer Against Sewage, The Handstand appeal, RNLI, Tanya’s Courage, Shelter Box, Cornwall Hospice, Air Ambulance along with others including charities outside of the south west. Local surfer Alan Stokes, one of Joe's "usual suspects", signed another surf board given to the Joe Way Paddle team which is being raffled at Hendra Holiday Park for Cornwall Hospice, the Skindog long board has already raised over £600 for the Precious Lives Appeal and has appeared at Monkey Tree Holiday Park and the Ripcurl shop in Newquay. Hendra Holiday Park who have raised over £5000 for Joe’s website which went to the Precious Lives Appeal is now raising funds for Cornwall Hospice. Rachel Barclay, fundraiser for Surfers Against Sewage, says, "SAS is stoked to be a part of The Joe Way Paddle for Life 2009. 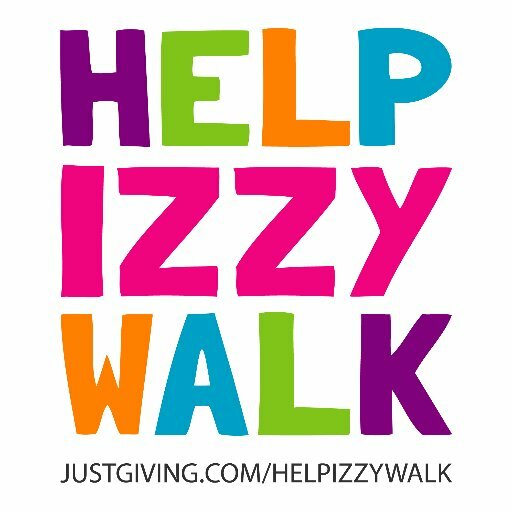 We're currently recruiting supporters to take part in the paddle and raise some vital funds for our clean water campaigns - contact us on 01872 533001 if you'd like to get involved." Jo Hillman from the BSA said “The British Surfing Association is more than happy to support the Joe Way paddle and believe the charity paddle for life is a great idea”. Written by Scott Dickinson on 08 August 2009 . Ben Skinner who launched the Paddle for life website has just returned from competing in Japan, Ben managed to find the time to explain about Joe’s story and the concept of the Joe Way Paddle for Life to some of world’s top long boarders as well as surfing legend Nat Young. CLICK HERE to see Skindog competing in Japan. Joe’s Banner has travelled over 78,000km spreading the Aloha spirit of Joe’s story to inspire others which also has The Precious Lives appeal logo on. Written by Scott Dickinson on 03 August 2009 . 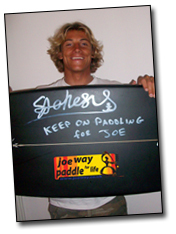 Alan Stokes has come forward to support the Joe Way Paddle for Life and has signed the Relentless surfboard being raffled at Hendra Holiday Park, Newquay’s five star touring and static van accommodation provider. 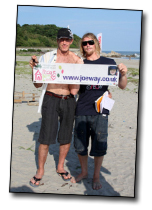 Alan was involved at the start of Joe’s website in June 2008 when he joined over 50 surfers who stuck the website logo onto their boards. 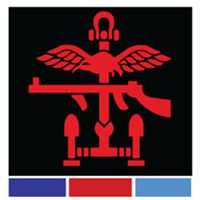 Although Alan will be competing away during the Newquay paddle on the 5th of September his sister Lottie will be flying the flag at the event. CLICK HERE to see Alan’s interview with The Times to see what makes him tick. 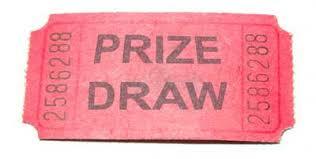 Tom Butler another Newquay legend has endorsed the Paddle for life concept and added his support. Tom took Joe’s Banner out to Sri Lanka to promote Joe’s story and was joined by Alan stokes in spreading the word. Tom and his family have been supporting the Way family with fundraising right from the start. CLICK HERE to see Tom’s interview with The Times to see what makes him tick.